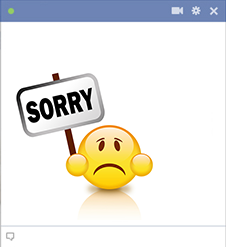 If you've said something or done something you regret, you can use to emoticon to express your apologies. We've created a wide array of images that allow you to speak your mind easily and creatively. Your friends will certainly take notice of your posts when you color them with our expressive images.